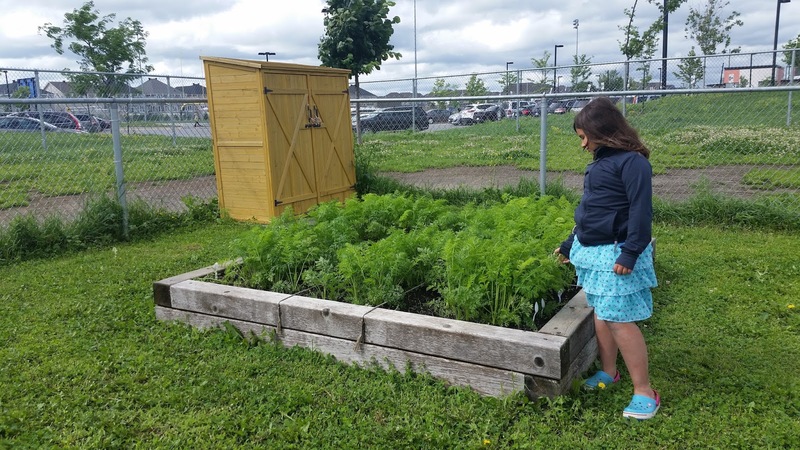 Sharing St. Cecilia's School Community Garden: Almost half way through summer and our garden is thriving! 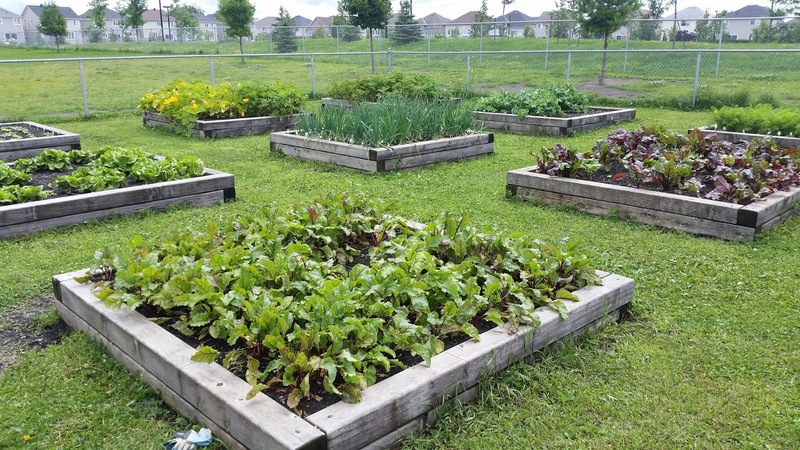 Almost half way through summer and our garden is thriving! Thanks to the hard work of our amazing volunteer team, St. Cecilia's school gardens are thriving. Our onions, carrots and beets look fantastic and will be huge by the time students and teachers return. Our potatoes and pumpkins are growing; we have a new crop of radishes planted thanks to a lovely volunteer and we just harvested our first crop of lettuce and second crop of kale. There is always a silver lining in everything: while the rainy weather might be dampening our outdoor activities, our gardens sure do like it and since our irrigation pipe is broken again we are grateful also to Mother Nature for the water it has been providing for our crops. I don't think there will be a need to ask the fire department to water for us this year! We hope you are enjoying your summer vacation! Bags of lettuce and kale!